Why are we indirectly referencing Game of Thrones? Moisturizing. That’s why. Fall has just begun, but the weather is only getting colder in New York (and even a bit chilly in Israel!) and we’re all too familiar with how dry, cracked and rough our skin gets during the winter months. That’s why we’ve teamed up with Rifle Paper Co. for L’Occitane to share some of our favorite products from their fall collaboration! As students, we’ve seen Rifle Paper Co.’s adorable designs around campus with their cute planners, notebooks, and more! 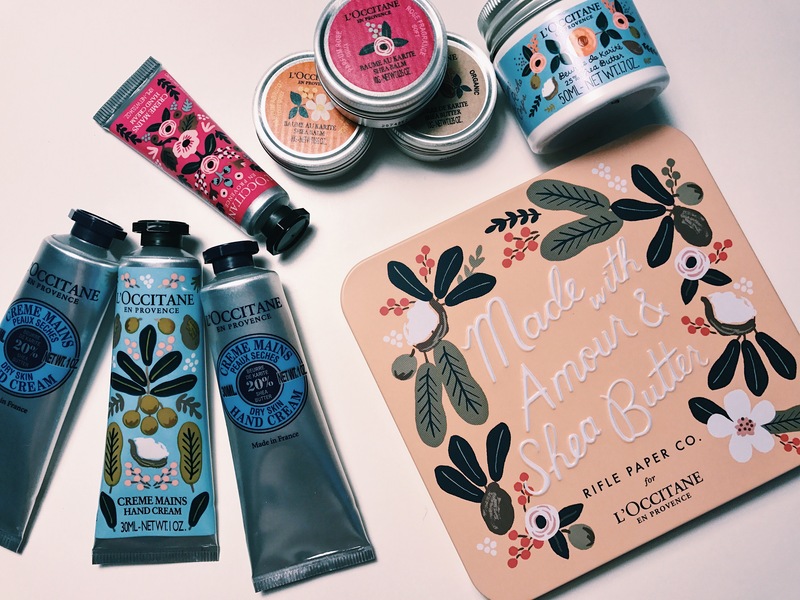 What’s better, they have teamed up with L’Occitane to design their Shea Butter collection and shared some skincare goodies with us. It’s design meets skincare; what could be better?! This trio will keep us set all winter long! Our number one step to avoid dry winter hands is to apply hand cream each night before bed. We suggest keeping one by your bedside as a reminder to nourish your hands each night to wake up without dry skin. Each hand cream works instantly to breathe some life and softness back into your hands without leaving a greasy feeling after application. Shea balms are the perfect addition to your on the go bag. They’re a solid consistency, so they’re perfect for those of you who travel as much as we do! All three of these shea balms can be applied to your lips, hair and body and come in refreshing fragrances like apricot and rose. Add this free gift to your cold weather routine and you’re set. The gift includes Shea butter body cream and another adorably packaged hand creme with a rose scent. These items are perfect for your winter vacations because of their travel-friendly sizes! With these luxurious hand creams, we know we’ll be set for wintertime. Thanks Rifle Paper Co. + L’Occitane!